An inquiry into the matter has revealed that neither RESTORATION of the 1964 agreement nor INDEPENDENCE will be considered. Instead, the dialogue will be used to officially ‘bury’ the old agreement ‘together’ so that Zambia will no longer be blamed for having annulled it unilaterally! In the past, the Zambian government has been blamed for abrogating the Barotseland Agreement 1964 without consulting the Litunga and the people of Barotseland, but now, the inquiry has uncovered the shocking government plan to use this dialogue to officially put that perception to rest, and also forge a new deal which does not threaten the unitary state of Zambia! However, the proposed new deal will in reality completely wipe out any hopes for either internal or external autonomy for Barotseland as the only beneficiaries under it are the Litunga and the BRE! 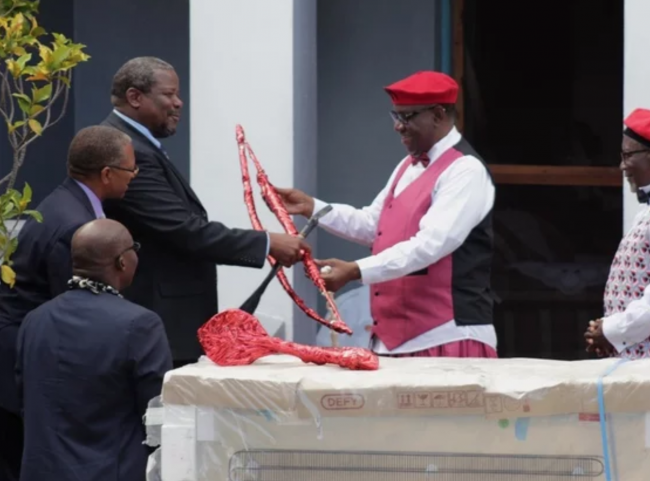 The Litunga will be conferred a superficial title of King, while all Chiefs, BRE Senior and Area Induna across all districts will be put on a government payroll. With the monetary promises, the inquiry has revealed that the entire BRE structure, including the Royal Highnesses in the districts, have been convinced to support the so-called dialogue process, although some of them were made to believe that the dialogue process would result into the restoration of the 1964 agreement, which if implemented completely, would be somewhat beneficial to Barotseland. However, when the process has achieved its real plans, the entire BRE and their Royal Highnesses will come-out as complete sellouts who have abandoned their people and mortgaged Barotseland on account of monetary promises from the central government! The inquiry has further revealed that Lubosi Imwiko II is ready to co-operate, as long as he will officially assume the title of ‘King’ in Zambia. 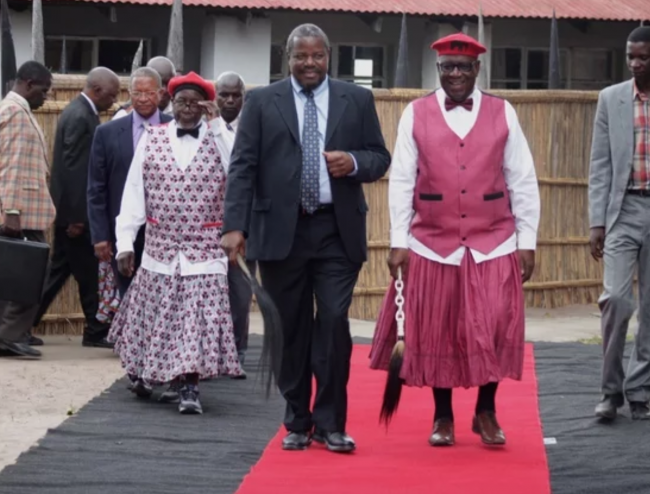 What he does not realize, however, is that he will not, in fact, be the only one conferred that title, but like in South Africa, all the Paramount Chiefs in Zambia will eventually be called ‘kings’ without real executive or jurisdictional powers. The only difference is that Lubosi Imwiko II has been deceived to betray Barotseland, where he is King indeed, in exchange for a superficial kingly title in Zambia which other Paramount Chiefs will also be given for free! The inquiry has further revealed that the invitation of Gawa Undi of the Chewa people in Zambia, Malawi, and Mozambique to officiate at the 2018 Kuomboka was, in fact, part of this new government strategy to emphasize that Barotseland is still part of Zambia! Soon, the Litunga will also be compelled to officiate at other Zambian traditional ceremonies to emphasize the ‘One Zambia One nation’ spirit and also show fraternity with other equals. The Gawa Undi’s presence at Kuomboka would also show the international community that the Litunga and the region are integrated within Zambia. Most shocking, however, is how the government and the BRE have planned to entirely exclude the people out of this dialogue while showing the international community that the process has been broadly representative! When announcing the planned dialogue, the BRE said that the Dialogue Council would comprise representatives of communities, Barotse political activists, the institutions of traditional governance structures and specific nominees of the BRE, to aid the BRE in managing the negotiation with the Government of Zambia. Although the main independence advocates, Linyungandambo and the Barotse National Freedom Alliance (BNFA), have already declared their unwillingness to participate in the sham of a dialogue, the inquiry has revealed that they were never really to be involved in the first place! Many expected that the plan to involve independence activists would see the immediate release of Afumba Mombotwa, the Linyungandambo leader currently serving a ten-year prison sentence in Zambia for having taken an oath of office as head of a transitional Barotseland Government, to take part in the dialogue. The inquiry has, however, revealed that the BRE and Lubosi Imwiko II have considered releasing Afumba and others now counterproductive to the planned ‘dialogue’ as they would always insist on carrying out the wishes of the people voiced through the 2012 BNC. So, their release should only be considered after the dialogue! After all, Afumba Mombotwa, Likando Pelekelo and Inambao Kalima are in jail today for implementing the 2012 popular BNC resolutions! Clement W Sinyinda, leader of the BNFA, has also been excluded from the dialogue process for similar reasons. However, to show Barotse political activists participation, Mutungulu Wanga of MOREBA (Movement for the Restoration of Barotseland Agreement) and Nyambe Namushi of Barotse Freedom Movement (BFM), have been enlisted to lead and represent all Barotse political activists. Some Barotse activists will be promised jobs in the Public and Foreign Services or investment capital for their co-operation. Although the enlisted individuals do not actually represent Barotse independence movements, their respective organizations, MOREBA and BFM, are considered part of the BNFA which fronts itself as an alliance or umbrella body for all Barotseland independence movements! In fact, both Mutungulu Wanga and Nyambe Namushi lost their elective positions in BNFA leadership at a general conference last year, which they later rubbished as illegal, and have since continued to operate as members of the BNFA Executive Committee! So, whether their BNFA membership is disputed or bona fide, the two will represent all Barotse political activists under the BNFA banner. However, the BNFA is only an alliance of willing Barotse groupings, hence, some like the Linyungandambo, who were unwilling to join BNFA from inception, are actually not BNFA members! Although many Barotse people prefer independence to dialogue on restoration, the government feels confident pursuing it because independence activists have not put up any noticeable revolt against Lubosi Imwiko II and the BRE for agreeing to talk with the Zambian government over the dead 1964 agreement! The government is also happy that generally urban Lozi people are actually looking forward to the dialogue, hoping that it will bring the Barotseland Agreement saga to an amicable end! Neither are they expecting any revolt! A splendid Kuomboka would make people very happy with the Litunga and the BRE! In fact, the ceremony this year was to be so enchanting to erase any evidence of dissension in the region. Thousands would be transported to Kuomboka from across the region at government’s expense through the District Commissioners! The inquiry has further clarified that there is no separate parliament, treasury, courts, police or army for Barotseland as some Lozi naively believed! In fact, there is no devolution of power at all! Barotseland will still be under the central government in Lusaka. Lubosi Imwiko will be superficial King; his appointed (not elected) Ngambela will be Prime Minister, simply to replace Zambia’s Provincial Minister, with jurisdiction limited to the region only! Government officials, Permanent Secretaries and District Commissioners in the region will report to him while he will report to the Litunga. The King’s domain or boundary is to be undefined in the proposed deal! He may actually be a king in name and title only, but without territorial jurisdiction! Lubosi Imwiko II is accordingly happy with this status as it officially puts him far above his subjects under the protection of the Zambian army and police, who will also brief him regularly! The parliamentarians will represent their electorates at the dialogue as people’s representatives. Their participation will form democratic semblance to appease the international community! Since the proposed deal does not threaten the Zambian state, and that all the members of parliament in Barotseland form part of Zambia’s opposition UPND, the dialogue outcomes would easily pass in parliament or may be implemented through a government Statutory Instrument (SI). Therefore, no government would ever honor it. So, the government now wishes to negotiate a new arrangement which they can practically honor. They will lure Lubosi Imwiko with the meaningless title and BRE with money, while the people will get absolutely nothing besides the name Barotseland! The 2012 BNC resolutions will not even be under discussion as they are considered illegal and unbinding! With all the Senior chiefs, sub-chiefs, BRE Indunas, Parliamentarians, Barotse political activists and Zambian government representatives participating in the dialogue, it will be assumed that the process was consultative enough to deceive the international community! Once the dialogue has concluded, the Zambian army and police will protect the Litunga and ruthlessly deal with anyone heard or seen advocating Barotseland self-determination again! These will be treated as trouble-makers going against the wishes of the majority, as concluded in the dialogue! This dialogue will be considered more binding than the supreme Barotse National Council (BNC) which draws the participation of all Barotse up to the family and village level! “Lubosi Imwiko II does not want self-determination because he does not want to share power with his people,” the inquiry has observed. And with only a handful of Induna supporting self-determination, and some Senior Indunas ignorantly hoping for the restoration of the 1964 agreement, the proposed dialogue is likely to be rushed to successfully conclude by the end of June this year! The current docility of the independence activists in BNFA and Linyungandambo has presented a good opportunity for the implementation of the new government strategy! Therefore, Barotseland will be systematically annihilated, unless the proposed dialogue strategy is blocked by the people!